The Andrews government has given the green light to the Murra Warra wind farm near Horsham–a move that will create hundreds of regional jobs and power 250,000 Victorian homes with clean energy. But will the Matthew Guy opposition support jobs and investment in wind and solar when the Victorian Renewable Energy Target goes to a vote in Parliament? “All parties can support jobs and investment in wind and solar,” said Pat Simons, Yes 2 Renewables coordinator. Just two weeks ago, the Matthew Guy opposition voted on a renewable energy policy they voted against a fair price for rooftop solar. Friends of the Earth hope to see the Opposition correct this lapse of judgement when legislation for the popular Victorian Renewable Energy Target scheme goes to a vote in Parliament early in 2017. Email opposition leader Matthew Guy to encourage him to back the VRET. The transition to renewables ought to be a above party politics. 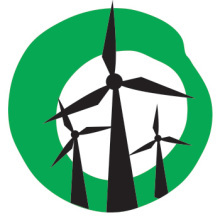 Make a donation to Yes 2 Renewables so we can act as a VRET watchdog. We’re proud of our campaign on the VRET. With your support we’ll secure it.